It’s been 200 years since the iconic piece that *basically* started science-fiction was written. And Kiersten White’s The Dark Descent of Elizabeth Frankenstein was such a perfect retelling commemorating this work! Not only do you get to read all of my gushing thoughts in this post, but there’s also a giveaway and a bunch of ways to win your own copy of The Dark Descent of Elizabeth Frankenstein. 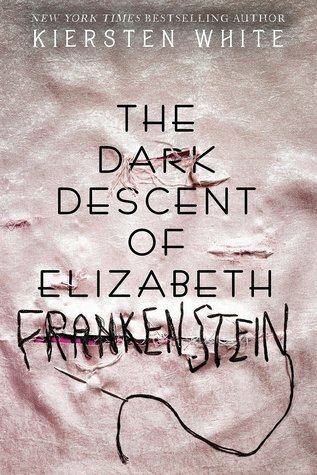 The Dark Descent of Elizabeth Frankenstein is a lush, atmospheric retelling of Frankenstein told from a feminist perspective that I absolutely adored! I have to preface this with the fact that I haven’t physically read Frankenstein (it’s part of my AP Lit reading list for later this year, though! ), but I still really enjoyed reading The Dark Descent of Elizabeth Frankenstein. What stood out to me the most was how desperation can push people to the extremes, and I think White explored this really well. It’s not just in Elizabeth Lazareva in this book, although her own desperation was very prominent with the extremes she went to in order to establish a place for herself outside of destitution. It’s in Victor himself and his mad desire to defeat death and keep Elizabeth with him. The whole subtext of this novel was really well developed, although I can’t say if that’s of White’s own genius or Shelley’s, but either way, stubtext wasn’t lost in translation during the retelling, and I love the amount of nuance White added to this story. The themes were really prominent–desperation, survival, family–and that’s largely why this felt so atmospheric to me. It was not only the obvious spooky and chilling, something White has done really well in her other works, but in the buildup of the novel. Because the foreshadowing was top notch. I loved the subtle hints throughout the first two hundred pages of the book–the mysterious figure, signs of Elizabeth’s desperation, hints towards Henry’s disappearance–and all of this not only added to the theme and atmosphere, but really helped shape the novel and its subtext and make it more than just an entertaining read. I do think a large part of why I enjoyed this was because I was in the mood for this book. I didn’t know it when I started, but I craved a dark, eerie, but female-centric read with Halloween. I definitely think some people won’t like this if they’re not in the mood for something a little more character-based and foreshadow-heavy, but I loved reading this book! I admit that not a lot of very action-heavy scenes happen in the first 2/3 of the novel, but they’re all very meaning-heavy, and I found that to be valuable in its own way. I definitely could have 3 starred this in a different mood, which goes to show how important it is not to force yourself to read this one! It can be such an amazing read, like it was for me, if you approach it right with the proper expectations, so don’t spoil this for yourselves! And anyways, the book really picks up in the last 300 pages with some shocking twists (especially for someone who hasn’t read the original Frankenstein, aka me) and a lot of action scenes and reveals that kept me on the edge of my toes. I could feel the tingles as the book built up to the climax, and I loved that! Overall, I totally adored this dark, female-centric retelling of Frankenstein and believe White did an amazing job with this book! I wholeheartedly recommend you read this, especially if you’re looking for a great, atmospheric read (that is perfect for Halloween)! Want to try your luck at winning a copy of The Dark Descent of Elizabeth Frankenstein? Click on the Rafflecopter button below to enter in a giveaway where three lucky winners will receive a hardcover copy of The Dark Descent of Elizabeth Frankenstein! (US only) Or, use one of the buy links in “More About This Book” to purchase your own copy! Thank you so much to RockStar Book Tours and Random House for sending me a copy in exchange for an honest review! Don’t forget to check out the rest of the tour stops below! 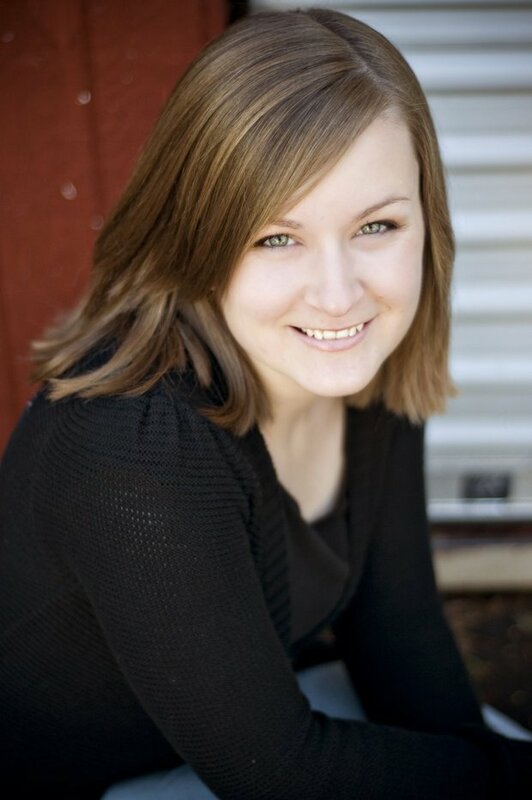 Have you read Mary Shelley’s Frankenstein or Kiersten White’s retelling? What did you think? Great review, Vicky! I’m excited to read this… which will probably be AFTER Halloween. Oops. ahh omg I am so sorry I missed this!!! your comments always go in spam and idk how to unspam you??? I cry. but thank you!!! I hope you love reading!! and ahhh thank you so much!!! Great review!! Frankenstein is one of my favorite books ever but I was hesitant to pick this up. After reading your post though, I definitely want to give it a go! yes! it might feel a little slow, but the buildup is definitely worth it and i’d 100% recommend if you feel like you’re in the mood for this!